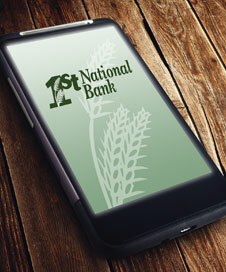 First National Bank has proudly served the area with innovative banking products since 1902 and is positioned to continue to do so well into the future. 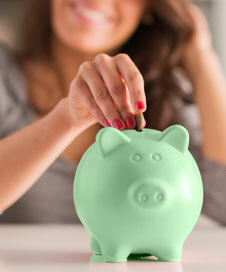 Be sure to use your Debit/ATM card at least once a year. Cards that go without activity for 12 months will be deactivated. In today’s world of online statements, it’s easy to forget why we need any address change that has occurred in the last year. 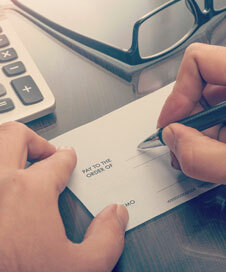 All IRS documents go out by U.S. mail. To avoid a delay in receiving your tax documents, please be sure that you have provided us with your current physical and mailing address. For your protection, these documents are not supposed to be forwarded. If you phone number has changed recently, please provide it to us at the same time. Click to find out more about our locations and hours. Access your accounts; all in the palm of your hand. 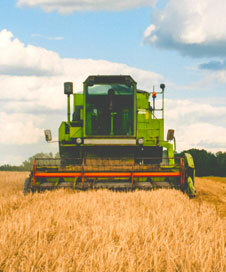 We specialize in agriculture loan of all types!